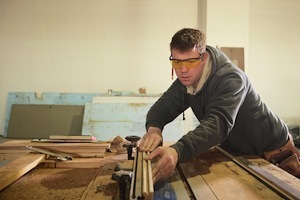 Featherboard: A featherboard safely pushes the wood toward the blade while keeping fingers clear. While a featherboard reduces the likelihood of a kickback, it will not restrain the board in the event of a kickback. Splitter: A splitter is a stationary blade mounted behind the saw blade, which helps prevent kickback. For maximum effectiveness, the splitter should be thicker than the saw blade but thinner than the saw kerf. Riving Knife: A riving knife is similar to a splitter except it is fixed relative to the blade rather than the table and it has teeth to grip the wood if it kicks back from the saw blade. Eye protection: Solid, quality googles can help protect your eyes from flying debris and help eliminate eye injuries. To schedule a free, no-obligation consultation with one of our experienced attorneys, please contact us online or call us at 615-742-4880 or toll-free at 866.812.8787. But do not delay, the law imposes strict deadlines by which you must act or forever lose your rights.